A écouter, tendrement, les jours de pluie. Listen it tenderly. The first song I ever heard Selia Qynn sing was "Shades of Blue" and I was hooked. She is a confident guitarist and a determined songwriter. Her voice is hauntingly true and soothing. With these talents, Selia Qynn embraces the very reason singers sing and writers write; to provide the world with art that's entertaining and thought-provoking. Artistically speaking, listening to Selia Qynn's passion for song is no less gratifying than gazing upon the works of Van Gogh or Monet, and can be just as calming. Selia offers four titles here and they are all gems. "THE MOON AND ME" is a re-vamped release of Qynn's first cassette which is long out of print, and just as well, because this enhanced version is a well produced project showcasing some of Selia's earliest music. Qynn captures an electric side to pop-folk music with the help of Bill Wood on guitar on "Let It Go", while continuing to lazily wind down country back roads with cuts like "I Can't Ask". "THE SURREAL LIFE ADVENTURES OF STELAA QUEST" is a narrated production that works like a 66 minute choreographed musical. I haven't enjoyed a CD like this since I played Pink Floyd's "DARK SIDE OF THE MOON" while watching "THE WIZARD OF OZ." (I think you start the CD on the second roar of the lion...or something like that) "STELLA QUEST" is a clever production worth every penny. Qynn's third release is "CHARMED EXISTENCE" and is perfectly engineered by Karl Caillouet who has recorded the best of the best over the years. The retro-styled "Miss You Like Crazy" is refreshing, and Qynn pays tribute to her first love (Elvis) by including a very nice rendition of "I Can't Help Falling In Love". When you need a little more Selia Qynn, along comes "UNRELEASED." This is a fine collection of songs including that one that got me hooked in the first place. Along with her impressive discography, Selia Qynn is a noted and respected performer, and is always eager to help a fellow musician any way she can. Now you can enhance your CD shelf with any of these titles for only 13.99. You'll be the next Selia Qynn fan!! Plus 2 singles: "Pass It On" and "Throw Me Down The Key"
Selia's life as a touring artist began at the tender age of 3, when her father forced her to sing to keep him awake on the long road trips between pipeline jobs. Standing in the backseat - before the seatbelt laws - she could just barely reach his ear. Her repertoire consisted of just three songs, but then her vocabulary wasn't that vast either. She decided early on, she would have to learn more songs just to drive away the boredom of repetition. Although she as since learned hundreds of songs and thousands of words, her father's favorites remain the first 3. On Top Of Old Smokey, Down In The Valley, and 500 Miles. 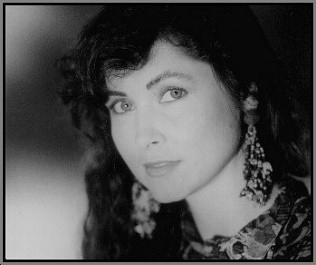 In 1990, Selia was in the top 40 chosen in Kerrville Folk Festivals New Folk competition. 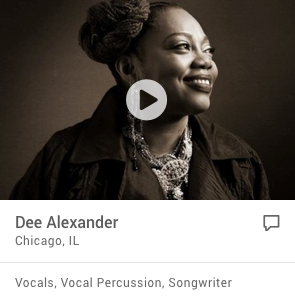 By 1991, she had produced her debut album, "The Moon & Me." "All Children Here", from this release, won an award at the Spring Music Festival; and later received another honor; the Houston International Peace Festival adopted a line from the song "healing the world from our own backyard" as their 1993 event slogan and logo. In 1992, she released The Surreal Life Adventures of Stella Quest, a concept album with a cast of characters who unfold in a series of colorful vignettes. Eleven songs from fantasy-folk ballads about love and haunting dreamlands to satyrical blues and rocknroll spoof are woven into the whimsical, thought-provoking narrative of this musical, mystical, fantasy-folk space odyssey. 1993 marked the release of six music videos that have been aired on the Public Access channel in Houston and Dallas, TX and in Atlanta, GA. This half-hour show is personal, family oriented and full of heart, with clips between songs of her son and wild pet sparrow. Selias music is aired on numerous European radio stations including France, Belgium, Spain, Denmark, The Netherlands, Russa, Sweden and on numerous New England and Midwestern college radio stations as well as on Houston's KPFT listener sponsored radio. In 1999, Selia released her third self-produced CD, Charmed Existence, with 12 original love songs (and one Elvis tune) covering the relationship gamut from hopeful beginning to bitter end. The instrumentation is much more jazzy on this one, but still smooth and introspective over all. Selia's latest album, Unreleased, is in fact finally released and is an eclectic collection of songs with a folk-jazz to ballad flavor. Her next project, still bouncing around in her head at the moment, will have something to do with dreams, archetypes and quantum leaps. Her spare time is spent in her lush and sprawling garden - a back yard habitat certified by the National Wildlife Federation. She loves nurturing growing things, digging holes in the world to let the flowers out, and enjoying the company of her many birds. Selia likes to mix originals with her favorite oldies and cover tunes. She performs anywhere from 3 to 5 sets per show with each set about 45 minutes in length. There's a full moon risin', risin' up to follow me. Through deep and cloudy canyons; striking passion in the wild. With the moon and me. With the moon and me. And no desire to change it. He just wasn't in the mood. He thought he wanted freedom when he saw me sailing by. He wouldn't let me love him, guess I'll never know why. To be flying free. Like the moon and me. With a gnawing hunger for the places he can't be. But when his echoes find him, he feels so far from home. And he's finally free, like the moon and me. In the springtime of our love. I hear the raindrops fall. How our love will always grow. In the summer of our love. That's the way I'm drawn to you. I feel the north wind blow. There's a cold wind blowin 'round here again. I can feel it comin', chills on my skin. Should I hold on tighter? Or do I just let go? And let it blow, let it blow. Not a word in the evening or in the early morn. And let it shine, let it shine. You don't really know me and I don't know you. So what's the point if we argue different points of view? You are my brother. Will you be my friend? We can win, we both can win. Well, nobody's right here and nobody's wrong. This "every man for himself" thing just goes on and on. Why separate the world by whether friend or foe? An unreal situation? Maybe a word that's real. The word is love, oh, love. When first I came into this world, I brought with me some Grace. I knew this when I first beheld my mother’s loving face. And I knew God sent a part of heaven with me from above. As long as I was steadied by my mother’s guiding hand. Her voice was love, her words were love, her eyes were clear and wise. She was my safest harbor in a world of fear and lies. That’s why I pass it on. Pass it on, pass it on, don’t keep it on a shelf. And then I had my own child. A mother I’d become. Gazing breathless, I beheld my tiny little one. By the awesomeness of life begetting life like it began. My mother’s hands are shaky now. Her eyes are growing dim. God’s light surrounds her always now, reminding me of Him. How precious is this blessing, this gift, this day, to me. That mother’s are God’s promise that love will always be. I trust you like an angel who would catch me if I fall. A friend until the end I know you'll be. And sometimes you're an open book, and I can see it all. I know that you don't know how much I see. You were feeling brave once, and tried to speak of love. But you didn't have to tell me 'cause I knew. Where now is that brave bird that once was in my hand? I guess I wasn't watching when she flew. You talk of love, and fear that love could go makes you afraid. But, let me say we all have our prices that we've paid. And a trail of tears followed me up to this very day. Feelings carry hearts away, but the mind pulls in the reins. In the nick of time, we stop to think it through. In fear of doing things we can't undo. Some lessons are not easy. They make of us a fool. And somehow life just seems more cruel. And the wherewithall has flown with all the rules. Sometimes I just hang on to the wire. But the times I love you best is when you sing your song. It somehow makes my step a little lighter. Sometimes I'm an eagle. Sometimes I fly so high. Gliding on the chilly mountain wind. But the times I love you best is when I look into your eyes. I can see the steady strength within. Somethings are not meant to be. We never will be birds. Somethings go unspoken and they never will be heard. But, they find their own language when we don't have the words. Even when the darkness blocks the light. They're shining out like beacons on the other side of hope. You can see them when you hold your heart just right. And now I sing your song. Now this open heart feels empty. And it’s cold here in the dark. Where you have left your mark. I could not find the end. To see your face again. And acceptance yet to come. To let the river run. I feel you here today. Come here, my son, I've something to tell. Put down your toys and listen well. You are a child, precious and dear. And I'm just like you; we are all children here. I'm just like you; we are all children here. To love yourself as I'm loving you now. And learn how to be your own best friend. Learn how to be your own best friend. CH:	We are all children here so let's be fair. There's plenty here for all of us if we share. We are all children here so why not care? Just open up, let love inside. Forgive someone who hurt your pride. Enough of us can turn the tide of fear. We are all children here. When the child inside smiles, it's easy to tell. The child in their hearts at the mercy of fools. Hearts at the mercy of fools. The world's mixed up, there is so much pain. We see it over and over again. Still, parents can't teach what parent's don't know. No, they can't teach what they don't know. We can heal the world from our own backyard. The one in his heart will give you a smile. The one in his heart will smile. I spend a lot of time scribbling lines on my steering wheel at the light. Some of my thoughts go there, some go to thin air, some I sing every night. Haunting the eons from under the bed. Remind me that I am dust too. Collecting in shadows. Watching me sleep. Ghosts of my ancestors. Waiting for me. When I was a child I made dandelion chains and wished on a 4-leaf clover. I wondered why seeds would float in the wind and why weeds always took over. Grandpa said it was magic. Grandma said it was a curse. I thought the angels made a mistake trying to feed all the birds. Why do you follow the wind? I asked one little seed. You inspire me my friend. When you give your breath to me. Turn to dust and then take over. And blew away the magic stuff. Now I watch my mom in her 70s, growing her flowers and pulling weeds. Trying to bend the arthritic knee, remembering times long ago. Now she's come to her final decision. She's letting the dandelions grow. Dandelions in the clover turn to dust and then take over. Once I picked a perfect puff and blew away the magic stuff. As if my life depended on the poetry I'd write. Back to my steering wheel waiting for lights to change. Back to my scribbling, playing the waiting game.